If You're Tired of Being Heavy & Overweight or Struggling With Unsustainable Diets That Fail to Provide Lasting Results, Read This Article! Are you sick & tired of being heavy, overweight, or "chubby"? If so, you’re not alone. I know what it is like to be overweight and feel hopeless - Like there’s no way out. But I also know what it’s like to lose weight and finally achieve the lean body I've always wanted. To be able to shop in any clothes store and walk up a flight of stairs without feeling like I was about to pass out. This article explains how I overcame my lifelong struggle with weight, and how you can create your own personal weight loss transformation. However, if you read this short article, and feel inspired & motivated to start losing fat and achieve the body you've always dreamed of, then at the end you'll have the opportunity to sign up for my free 14-Day Fat Loss Forever course. This course will outline the exact steps you need to follow to finally overcome your struggle with excess body fat and build the body you desire and deserve. Not only that, you learn how to do this in the most enjoyable and sustainable way that will last the rest of your life! And It doesn't matter whether you have 20, 50, 75, 100 or, like me, 140+ pounds to lose. If you apply yourself 100% using the strategies and lessons outlined in my free course, you will lose weight and be successful. But before you decide to enroll, I want to share my story of overcoming a lifelong struggle with weight to show you that I understand what you’re going through on a personal level. If you're currently overweight or obese–and have been for most of your life–then you'll be able to relate to my story. My hope is that after reading this you'll have a new spark of motivation as well as an actionable plan for accomplishing your fitness & fat loss goals–no matter your starting point. Growing up, I was never concerned about my weight. It was never anything too bad, though - just typical playground stuff. I didn't deal with much bullying or fat-shaming growing up, and as a result, I never worried about my ever-increasing waistline and body size. But these pool photos changed everything - I hated the way I looked and felt ashamed for letting myself get that way, and I was willing to do anything I could to change it. At the young age of 14, I started asking around and searching the web for different diets before settling on the infamous Weight Watchers. For the first few weeks, I was incredibly motivated and even noticed some visual progress coming from my hard work. My hunger and cravings were increasing out of control, exercising wasn't fun anymore, my progress was slowing down, and my initial motivation to lose weight all but disappeared. Despite my struggle, I continued pushing harder and harder through the first four days of the week. By Friday I was physically and mentally exhausted from dieting, and when my family ordered a Dominos Pizza that evening, I didn't have the willpower to stop myself. I couldn't take it any longer - I was tired of dieting and being hungry, so I gave in, and then gave in some more. All the while I kept reassuring myself that, "the diet will start again tomorrow," but tomorrow never came.Before I knew it, I was back to square one following my old unhealthy eating & exercise habits. Over the next four years, I continued this vicious cycle of losing and gaining weight while trying to follow unsustainable diet and exercise protocols. I wasn't just as unsuccessful on these diets, though, I ended up gaining back more weight each time I failed. 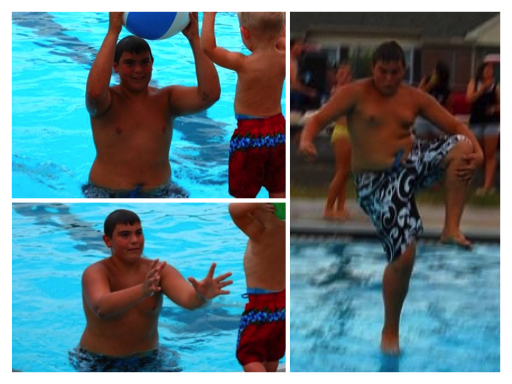 From age fourteen to eighteen, I went from a chubby teen to an obese young adult! Was I Destined to be Fat Forever? 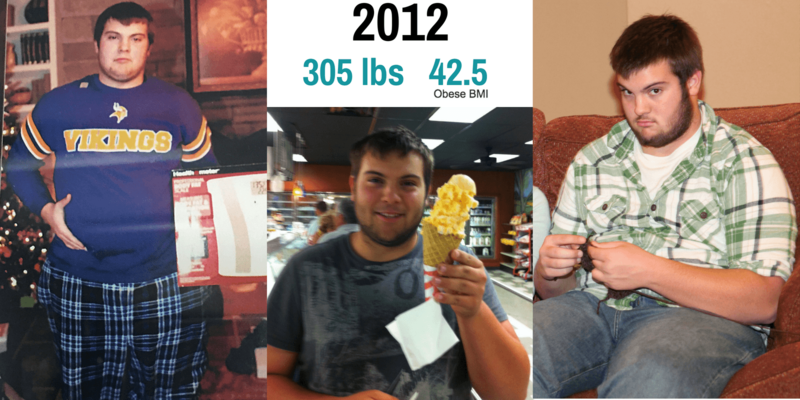 I want to be 100% honest with you - at the time, I thought I was destined to be obese forever. But despite my multiple failures, I never gave up, and I eventually realized that trying to follow the latest dieting trend just wasn't going to cut it. 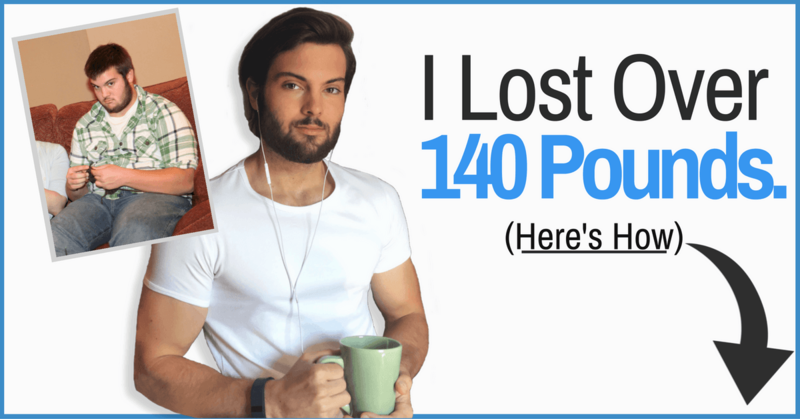 So I started doing my own research, and after many hours and late nights reading everything I could about fitness and losing weight, I discovered the obvious–but frequently overlooked–truth about losing fat. Doing both of those two things Consistently Over Time. It doesn't matter what you do or what magical fat loss diet you follow. The ONLY WAY to lose fat and achieve a lean and healthy physique is by following and executing on those three truths. I like to call them the Three Indisputable Truths of Fat Loss. So with my new-found knowledge, I stopped searching for the "perfect" diet and blocked out all of the hogwash and nonsensical information in the mainstream media about losing weight. Instead, I focused all of my attention on following those three indisputable truths. I knew that as long as I was eating and moving in a way to create a calorie deficit, exercising to maintain muscle, and doing both of those things consistently, I would be successful in achieving my fitness goals. What I found was that following a few strategies that are specifically designed using the three indisputable truths made losing fat and building a lean body easier and simpler than I ever thought possible! 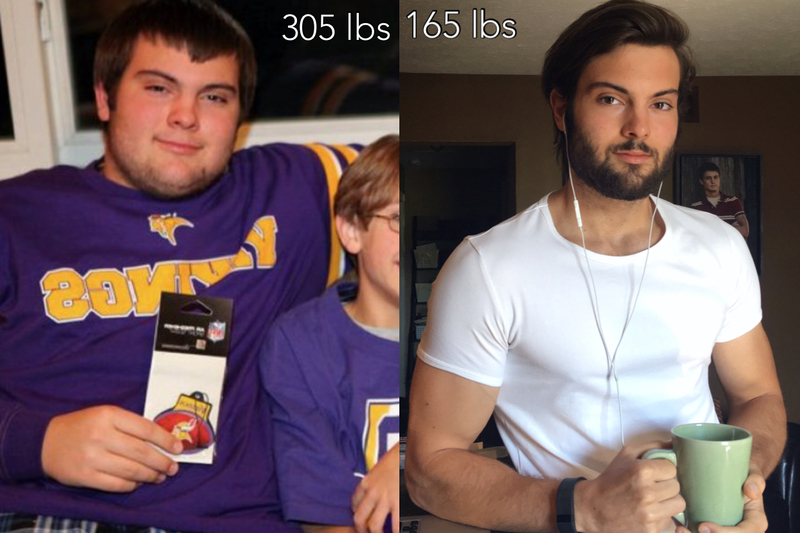 In the first year of dieting this way, I was able to lose 112 pounds in just 365 days! When all was said and done (2.5 years in total), I had lost over 140 lbs of body fat, built lean muscle, and achieved the fit & healthy body I always wanted. If we've learned anything from the shockingly high failure rate of long-term dieting, it's that traditional approaches simply...Do. Not. Work. But it’s not dieting that’s the problem, it’s the approaches people take that are too extreme, unsustainable, and unrealistic for long-term success. The reality is that crash diets rarely work (and if they do, not for very long),magical weight loss pills are a joke, and relying on cardio aloneto burn off extra flab is ineffective as a long-term solution. I'll go out on a limb and say that you've probably tried every FAD diet and belly-fat-burning workout routine out there with nothing to show for it. They may have even provided some quick results, but you ended up right back where you started. Most diets are like this in that they are flawed from the start. They focus exclusively on short-term strategies for losing weight and neglect the most important reason for dieting in the first place - keeping weight off forever. And this problem is the exact reason why I created my 14-Day Fat Loss Forever course. My free 14-day course will not only teach you how to drop weight using strategies centered around the Three Indisputable Truths of Fat Loss - it will teach you how to accomplish your goals in a way that is both enjoyable and sustainable! You’ll learn how to use and execute on the same powerful tactics that I have used to not only lose over 140 pounds but continue to use to maintain a healthy body weight year after year. That way, you can have similar fat loss success. and WITHOUT feeling restricted and stressed out. During the course, you'll receive daily emails from me with step-by-step instructions that guarantee you get started down the right path. The best part is that these steps will allow you to bypass all of the nonsensical weight loss information out there and avoid making common beginner mistakes, so you can start seeing results NOW. You're going to have to work hard every day to get results. So, if you're not feeling up for it, don’t feel obligated to sign up. Created by someone who knows what it's like to be overweight and obese - from someone who's been there and overcame it. Then click the button below, and you'll be instantly enrolled in my free 14-Day Fat Loss Forever course. In fact, you'll receive an email immediately after signing up with your next steps.